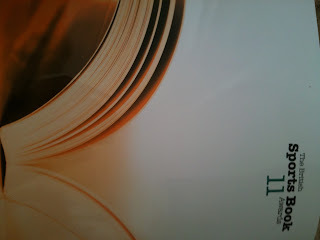 The life of an author is invariably one of managing ever increasing expectations without wanting to appear hubristic. Not content with torturing myself mentally during the writing of In Search Of Alan Gilzean, I have spent the interim period doing it all over again. First, you hope that people will buy your book, then you hope they will read it and, then, if that's not enough, you want them to like it. For the writer, though, of greater concern is those that have not enjoyed the work. What was it that those who criticised it did not like? What could have been done better? What would I change if I had the chance to write it all over again? These were the questions that occupied my mind in the days after last week's British Sports Book Awards. 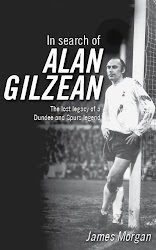 You will recall that In Search Of Alan Gilzean was nominated in the best football book category for the event at The Savoy last Monday evening. It didn't win but that didn't stop the six of us (the remaining UK-based members of BackPage Press, myself and our wives and a girlfriend) from having a long-overdue and very boozy post-publication party. It was clear we were going to enjoy our night when a tray filled with fine champagne was waved in front of our noses and we embarked on some celeb spotting. Mike Atherton was there, as was Gabby Logan, but perhaps the most impressive famous face on show was that of Brian Moore who, in the flesh, is one of the scariest men I have ever set eyes on. Moore would later melt upon winning the best autobiography award, his voice cracking with emotion as he recalled the circumstances behind why he wrote Beware of the Dog before admitting that the sportsman in him meant he would have been 'gutted' had he lost. His gallant and eloquent summation was that, in any case, it was only someone's opinion that he was deemed the winner. The positive news for us was that we had been selected as a nominee rather than having submitted the book for shortlisting. To me this was evidence that we had a chance and when the nominations were read out there was more to be confident about with the revelation that "the winning book represented a personal odyssey". And that "it was a story about a town (Coupar Angus, surely?) a city (it must be Dundee) and about a club (ah bugger it, it's the book about Leeds United, isn't it?). I'd marked down Anthony Clavane's Promised Land as the live outsider when I'd first seen the list of nominees – along with Mike Calvin's Family which was the bookies favourite – and so it came as no great surprise to see him lift the award. But I won't lie, there was a pang of envy when he mounted the steps to collect it. There was surprise, too, when WH Smith picked up the best retailer award. Not least from The Independent's Stephen Brenkley here: http://www.independent.co.uk/sport/cricket/on-the-front-foot-little-chance-of-india-having-another-look-at-referral-system-2284342.html who presented the cricket award and noted the lack of the sport's books available in the retailer's stores. I have had a similar experience with Smiths. Gillie has not been stocked in my local store in Hamilton since publication and that to me seems like something of a missed opportunity, not least when they have books about other former Tottenham players such as Darren Anderton and Steve Hodge, who also just happen to be English. But I digress. The rest of the evening was spent chatting with other authors about their experiences. Tom English, who won best rugby book for The Grudge, a superb socio-political account of the 1990 grand slam decider between Scotland and England told me he conducted over 100 interviews in the writing of his book and during one fortnight, specifically taken off work to clock up some words, he wrote "9000 only to throw 8000 of them away". Clyde Brolin asked how long it had taken me to write Gillie. He was surprised to discover that it had taken me just over a year. His book, Overdrive, had taken five. My theory on the writing process is that there is no right or wrong time-span. It is a nebulous concept and relates to the time needed to tell the story as fully as possible but also the conditions that govern your day-to-day existence. I simply had to have my book finished by the deadline imposed. The question is not would it have been different had I been given more time but rather would it have been written? There was also the opportunity to meet the prolific Spurs author Martin Cloake, who had given Gillie a very favourable review on his blog http://martincloake.wordpress.com/ and with whom I'd enjoyed a correspondence in the run up to the awards. I will confess that I took far too much pleasure from Martin's 61: The Double book winning best illustrated title and Tom's The Grudge taking the rugby gong, perhaps because Martin is a fellow Spurs man and Tom is a fellow Irishman or perhaps because I was all too aware that it might be the closest I would get to winning myself. And thus it proved. As reality set in, I downed more and more wine and suddenly I was smiling. Gillie would have been proud. When I woke the next morning I felt 'gutted', just like Brian Moore might have done had he not won. But, as I reconsidered his words and the effects of the previous night's drinking finally started to lift, I told myself there's always next time . . . I've already started planning for it. Let the self-flagellation begin. The greatest fear for any prospective writer is that people don't actually like your work. I'm not talking about undiscovered genius such as Franz Kafka or Sylvia Plath - two greats whose untimely deaths brought their books to a wider audience. No, I'm referring to the audience merely reading one's work and deeming it rubbish. There are those who will say that it should not matter what other people think but, on the contrary, in book writing, it is all that matters. The second tangible fear - which is, of course, linked to the first - is discovering errors (or rather having them pointed out) in something that has taken many, many late nights and very early mornings to produce. It is, I suppose, an occupational hazard and possibly a by-product of all those unsociable hours. Lame excuses aside, there is nothing quite as gutting as the discovery of a blooper and the pit-of-the-stomach feeling that accompanies the realisation that you've buggered it up. 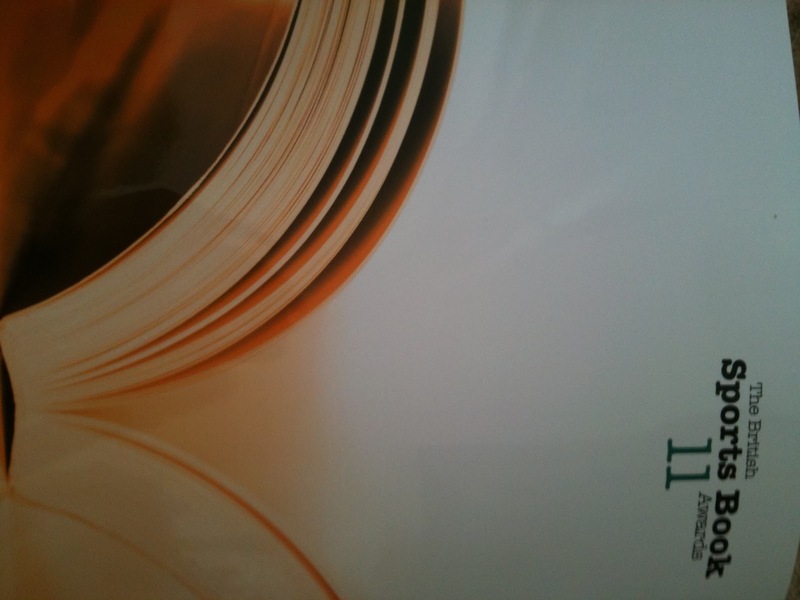 One of the upsides, is that when publishers decide to print further editions, the errant information can be inserted. There are consequences, too. Often, kindly folk are moved enough to write an eloquent letter or email pointing out the error and as an author of a book on a subject whose name, I felt, had been traduced to a certain extent, it was always my intention to maintain extremely rigorous standards of accuracy. One such correspondence appeared in my inbox in the weeks following Christmas and clarified a matter which had nonplussed me during the writing of the book. I'm happy to set the record straight here. I’ve recently finished reading In Search of Alan Gilzean. It’s good to see a great player of the past receive the accolade of a biography. I think you’ve done him proud. Although not a regular at Tottenham, I did see several games each season during the late sixties and early seventies. Gilzean was a very skilful player and his trademark ability to subtly deflect the ball with a glancing header has never been matched. A trick of his you mention brought to mind a favourite incident, which happened in the opening match of the 1972/73 season, at home to Coventry. Spurs scored an early goal and, as a result, started to play with a touch of swagger. The ball was played up to Gilzean who, as it came towards him, turned his back on the ball, bent low at the knees and trapped it with his backside. It’s something I hadn’t seen before and have never forgotten. I was particularly interested, though, in your comments about the goal Jimmy Greaves scored in the 1967 FA Cup semi-final against Nottingham Forest, as the description given to you (and also illustrated in Phil Soar’s club history) is absolutely correct. A long ball downfield was headed by Gilzean to Greaves, who struck it on the half volley from twenty five yards into the net off the left hand post. It was an outstanding strike from Greaves, particularly memorable because he rarely scored from that sort of distance. I was therefore puzzled to read that a Pathe newsreel showed the goal came from a move involving Mackay and Knowles, which I know was not the case. I found the newsreel via Google and can see why you arrived at your conclusion. However, this was due to a misleading piece of editing, as two separate pieces of film were spliced together – the first involving Knowles passing to Greaves, the second showing the ball flashing past a diving Peter Grummitt on it’s way into the net. But these are from completely separate moves – indeed, you can see a jump where the two pieces of film were joined. Finally, forgive my mentioning, but there are some errors in the text. For example, Franny Lee never played for Preston and so was not involved when they beat Tottenham in the FA Cup in 1966. It was Tony Hateley who scored for Chelsea in their 1967 semi-final against Leeds, not Charlie Cooke. Also, Dave Mackay didn’t win the league championship with Derby under Brian Clough – he played his last match for Derby at the end of the previous season. However, these quibbles aside, I very much enjoyed your book. Author's Edit: Just want to point out that the Francis Lee referred to here was more commonly known as Frank Lee. He is nevertheless referred to as Frank Lee in official Preston North End publications. I hope this clarifies any uncertainty about his identity. These changes will, of course, have been rectified for the third print run which is due imminently. And he's off . . . It is, according to my publisher – a man who counts these kinds of things – over three months since I last posted an entry on this blog. Where the time has gone since my last update, I'm not quite sure. However, I promise to be more vigilant in keeping readers abreast of developments over the coming months. Indeed, there has been one particularly significant development – at least in book terms – since November 9th 2010. More of that later, though. And by later, I mean tomorrow. Suffice to say, I have received many more letters in the interim – some of which have shed light on one or two loose ends (don't get your hopes up, they are not that significant!) that I missed during the course of my research. I hope to replicate them in full, or at least in part, over the next few weeks. Surely worth a few shillings of anyone's money, no?